Rich archaeological sites provide much information about early cultures that inhabited the area around today’s Spring Mountain Ranch. Evidence has shown that man has been in the region for at least 10,000 years. The many springs in these mountains provided water for the southern Paiute and later brought mountain men and early settlers to the area. The park was a 528-acre oasis originally developed into a combination working ranch and luxurious retreat by a string of owners who have given the area a long and colorful history. Past owners of the ranch include Chester Lauck of the comedy team “Lum & Abner,” German actress Vera Krupp and millionaire Howard Hughes. The first non-native visitors included trappers and explorers. These men passed through the valley and over Mountain Springs Summit heading to the Los Angeles area. Antonio Armijo let the first caravan over this trail in 1829, establishing an alternate route for the Spanish Trail. The trail primarily served commercial mule trains hauling goods over the rough Spring Mountains. In 1847, Mormon pioneers began transporting supplies from Los Angeles to nearby colonies and Salt Lake City. Thus, the Old Spanish Trail became the Old Mormon Trail. 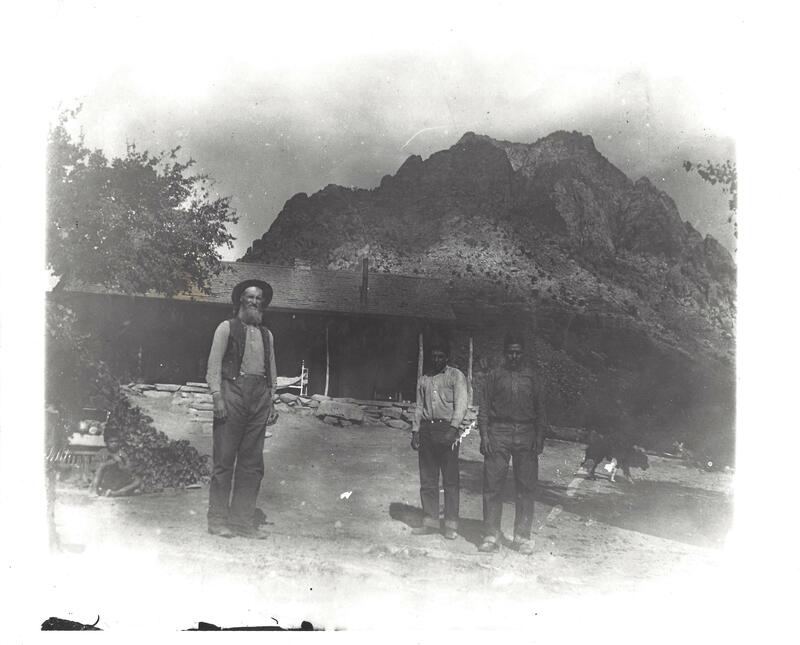 In the early 1800s, locals knew the area around Spring Mountain Ranch as the “Old Williams Ranch” or the “Bill Williams Ranch.” William Sherley Williams was a famous trapper, explorer and mountain man who turned to horse stealing after the decline of the fur trade. Some evidence suggests stolen horses grazed on this site, due to the availability of water. Though Bill Williams never lived on the property, someone used the property and built several structures there, a one room cabin and a blacksmith shop. These buildings remain at the park today. In 1876 James Wilson and his partner George Anderson filed for the property and moved to the ranch. George Anderson eventually left the ranch to enter the saloon business, leaving his wife Annie and their two sons, Jim and Tweed, behind. Jim Wilson later adopted the boys and deeded the ranch to them in 1902. Though cattle ranching became the primary source of income for the Wilsons, Jim Sr. continued to prospect the surrounding area for minerals, presumably until his death in 1906. In addition, over time the Wilsons augmented their income by raising sheep, mining and hauling ore. Tweed married a Paiute woman, also named Annie, and they had two sons, Buster and Boone. They divorced in 1919 and Annie and Boone moved off the ranch. After falling into financial difficulties after World War 1, the Wilsons were forced to mortgage the ranch for $13,523. In 1929, William George, a successful California furrier, rescued his boyhood friend and paid off this mortgage. Mr. George placed a covenant on the land which allowed Jim Jr. and Tweed to remain on the property for the reminder of their lives. In addition, Buster remained on the ranch for years, working for the various owners until his death in 1972. During his ownership, William George build a small home for his family, a chinchilla shed, a foreman’s house and enlarged the orchard. He lived at the ranch for two years, however, his business kept him away from the ranch most of the time. No one knows whether he intended to raise and breed chinchillas at the ranch or if the animals were gifts to him. 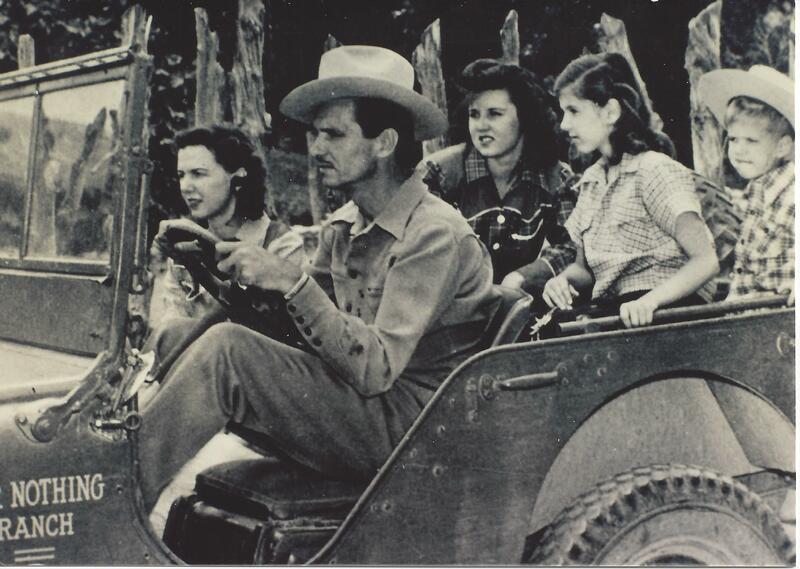 In 1944, he leased the ranch to Chester Lauck who purchased it outright four years later. Checster Lauck, with his boyhood friend Norris Goff, created the radio characters of Lum and Abner who ran the imaginary “Jot ‘em Down Store,” where customers “took what they wanted and wrote it down.” Their radio show ran five nights a week until 1954. They also made several movies during the 1940s. Mr. Lauck renamed the ranch the Bar Nothing Ranch when he purchased it in 1948.The area became a retreat for his family from their lifestyle in Los Angeles. The Laucks built the main sandstone residence, now the park office and visitor center. They also built a boys camp for their sons. Soon paying guests expanded this operation. In 1955, the Laucks sold the ranch to German actress Vera Krupp. Vera, born Martha Vera Wilhelmine Hossenfeldt in Meine, Germany, became a naturalized U.S. citizen in 1947. She married German industrialist Alfried Krupp, her fourth husband, in 1952. Though Mr. Krupp was not allowed to come to the United States due to his conviction for war crimes in World War II, his wife came back to the states. They divorced in 1957. 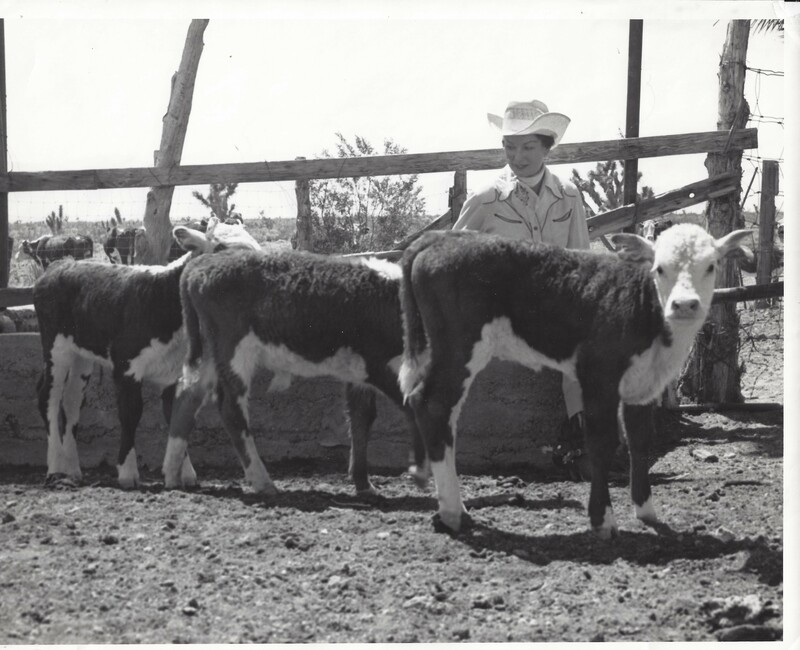 Vera renamed the ranch Spring Mountain Ranch and hoped to raise a strain of white-faced Herefords and Brahmas. A famous story from this period involved the theft of the Krupp Diamond. On April 10, 1959, as Vera and ranch employee Harold Brotherson ate dinner, three men forced their way into the main house, stole the 33.6 carat blue-white diamond and fled. It was recovered six weeks later in New Jersey. Mrs. Krupp lived at the ranch until 1964, when she moved to Bel Air due to poor health. During her ownership she modified the interior of the main house and added a swimming pool and bedroom with a secret passage. In addition, a guest house, various sheds and a kennel for her Great Danes were built in the service area of the ranch. In 1967 she sold the ranch to Howard Hughes for a reputed $625,000. At this time, Hughes was living in the Desert Sands Hotel which he acquired shortly before buying the ranch. Hughes' involvement in southern Nevada began in the 1950s with frequent visits to the area. He began investing heavily in Las Vegas real estate in 1967, eventually owning several major hotel/casinos, vast tracts of undeveloped land surrounding the city and more than 700 mining claims. Spring Mountain Ranch, as far as it is known, never hosted Hughes himself. It was mainly used by Hughes’ employees, particularly Robert Maheu, his right-hand man. The 528-acre property sold in 1972 to business partners Fletcher Jones and William Murphy for $1.5 million. At the time, this sale fueled reports that Hughes was divesting himself of Las Vegas properties due to difficulties with Nevada gaming authorities. Hughes died in 1976. Fletcher Jones and William Murphy, partners in many land development deals, wanted to build a large equestrian-oriented residential neighborhood that would support up to 2,000 people. A public outcry encouraged the Clark County Planning Commission to stall their application for rezoning. When stiff opposition to the plans formed, Jones announced his intention to auction the property. In 1968, the Bureau of Land Management completed a master development plan for the area. This plan included a relatively high level of recreation development and met with stiff opposition from environmental groups. A new plan, developed jointly with Nevada State Parks, later became final and Spring Mountain Ranch became a state park in 1973. In 1976, Spring Mountain Ranch was entered into the Historic Register of Historic Places as a historic district.